- Biogeochemical cycling of trace elements: very successful workshop! More than 100 investigators from 12 nations met at the Lamont-Doherty Earth Observatory in Palisades New York, USA, on 1 – 4 August 2016 for a synthesis workshop on the Biogeochemical Cycling of Trace Elements within the Ocean. The workshop, focused on setting priorities for exploiting GEOTRACES data to advance scientific objectives at the interface between marine geochemistry and marine ecology, was jointly sponsored by the GEOTRACES Program and by the Ocean Carbon and Biochemistry activity of the U.S. Carbon Cycle Science Program. The plenary presentations from the Workshop are posted on the Workshop website. They can be opened and downloaded directly from the agenda. The GEOTRACES Scientific Steering Committee (SSC) was held from 14-16 September at the LEGOS (University Paul Sabatier, Toulouse, France). The meeting was hosted by the GEOTRACES International Project Office. Among the topics for dicussion there was the review of the status of the next GEOTRACES Intermediate Data Product (IDP2017) as well as the details of its release at the Goldschmidt Conference (13-17 August 2017, Paris, France). 17 January - 20 February 2017, Section Cruise (GI10), Arabian Sea, Bay of Bengal and Indian Ocean. 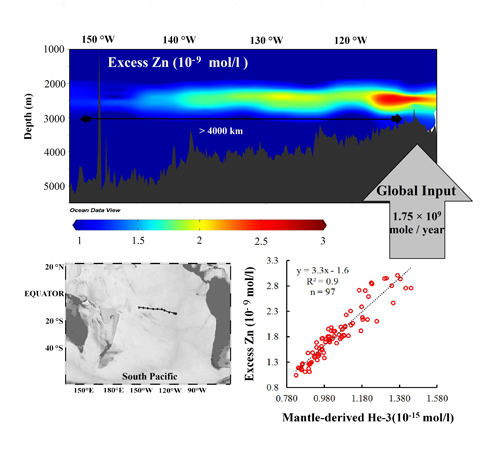 15 March - 28 April 2017, HERMINE Process Study (GApr07), Mid Atlantic Ridge. 23 June - 07 July 2017, Section Cruise (GP02bis), North Pacific Ocean. 27 June - 13 August 2017, ZIPLOC Process Study (GApr08), Tropical Atlantic. 23 - 26 January 2017, GEOTRACES Standards and Intercalibration Committee, London, UK. 16 - 17 September 2017, GEOTRACES Data Management Committee, Salvador, Bahia, Brazil. 18 - 20 September 2017, GEOTRACES Scientific Steering Committee, Salvador, Bahia, Brazil. 5 - 9 November 2016, CBO 2016, Congresso Brasileiro de Oceanografia, Salvador - Bahia, Brazil. 9 - 11 January 2017, Third Xiamen Symposium on Marine Environmental Sciences (XMAS), Xiamen, China. 26 February - 3 March 2017, ASLO 2017, Aquatic Sciences Meeting, Honolulu, Hawaii, USA. 1 December 2016, Submit your data for IDP2017! - Bridgestock, L., van de Flierdt, T., Rehkämper, M., Paul, M., Middag, R., Milne, A., Lohan, M.C., Baker, A.R., Chance, R., Khondoker, R., Strekopytov, S., Humphreys-Williams, E., Achterberg, E.P., Rijkenberg, M.J.A., Gerringa, L. J.A., de Baar, H. J. W. (2016). 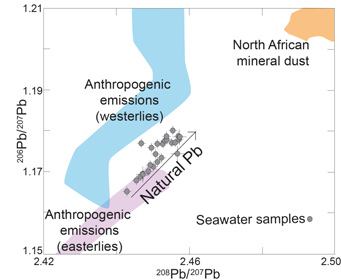 Return of naturally sourced Pb to Atlantic surface waters. Nature Communications, 7, 12921.doi: 10.1038/ncomms12921. - Aggarwal, S. K. (2016). 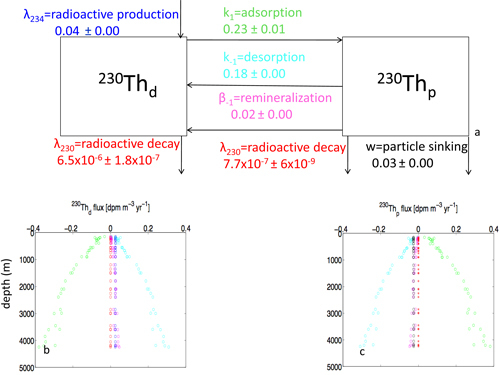 A review on the mass spectrometric analysis of thorium. Radiochimica Acta, 104(7). doi: 10.1515/ract-2015-2559. - Margolin, A. R., Gerringa, L. J. A., Hansell, D. A., & Rijkenberg, M. J. A. (2016). Net removal of dissolved organic carbon in the anoxic waters of the Black Sea. Marine Chemistry, 183, 13–24. doi: 10.1016/j.marchem.2016.05.003. - Turner, D. R., Achterberg, E. P., Chen, C.-T. A., Clegg, S. L., Hatje, V., Maldonado, M. T., Sander, G.S., van den Berg, C.M.G., Wells, M. (2016). 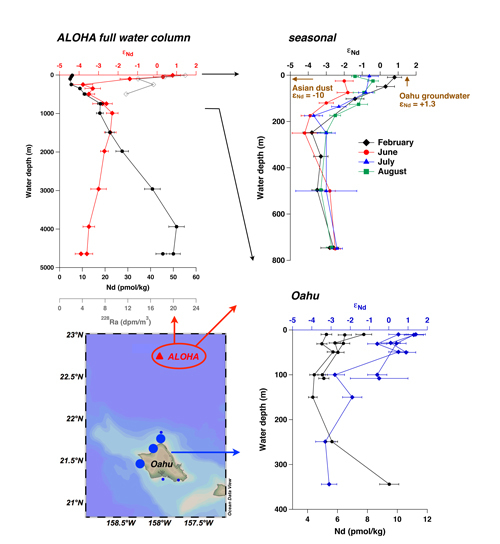 Toward a Quality-Controlled and Accessible Pitzer Model for Seawater and Related Systems. Frontiers in Marine Science, 3, 139. doi: 10.3389/fmars.2016.00139. - Weigand, M. A., Foriel, J., Barnett, B., Oleynik, S., & Sigman, D. M. (2016). Updates to instrumentation and protocols for isotopic analysis of nitrate by the denitrifier method. Rapid Communications in Mass Spectrometry, 30(12), 1365–1383. doi: 10.1002/rcm.7570. Banner 3D scene figure: 3D scene showing the distribution of dissolved iron in the Atlantic Ocean. Source: Schlitzer, R., eGEOTRACES - Electronic Atlas of GEOTRACES Sections and Animated 3D Scenes, http://www.egeotraces.org, 2014.